Thrive Blog Tour – Stop #2! It is an interesting and exciting time to be an HSP with the Sensitive movie premiering next month, coupled with the release of my new book Thrive: The Highly Sensitive Person and Career. Never before has so much good information been available to help us come to know ourselves better and make us more visible in the world. Highly sensitive people are dispersed throughout the total population worldwide and this blog stop will show that by touching base with our HSP friends in Finland. There is quite a great deal of interest and active HSP communities in Norway, Sweden, and Finland. I am happy that we are reaching such a wide audience with Thrive and spreading the good the book can do. In this blog tour visit I provide answers to a few more questions about the book itself and why I wrote it. As I reflect on writing Thrive I am left with the feeling of having spread my arms wider than humanly possible to grasp the complexity that surrounds the issue of work and career for HSPs. I have truly exposed a web of complexity that only surfaces the myriad of topics. Each chapter in the book could, and rightly deserves, its own book. Self-care, for instance, is such a huge topic for HSPs that an entire book could be written on that alone. Similarly with empathy. Empathy, and its related challenges and gifts, is such a complex and powerful topic for us HSPs that an entire book could explore it. In fact, chapter 6 of Thrive entirely addresses the high sensation seeking HSP. This is a topic I relate to very intimately because I am a HSS/HSP myself and have felt the twin forces of push and pull in my life. I will make the announcement here: my next book will deal entirely with the high sensation seeking HSP! For those who would like to read the second blog tour stop I include the text below along with a link to the web site. The new book by Dr. Tracy Cooper, with a foreword by Dr. Elaine Aron, author of The Highly Sensitive Person and originator of the Sensory Processing Sensitivity personality trait. This short article is part of a series of stops on a “blog tour” in support of Thrive: The Highly Sensitive Person and Career. What is different about this book compared to others on the market? Thrive is based on original research that has been conducted to rigorous academic standards by someone with the appropriate research credentials (a Ph.D.) and, perhaps most importantly, is also endorsed by the leading expert in the field, Dr. Elaine Aron. Dr. Aron has written the foreword for the book to differentiate it as a book she has read and approves of. It is important for HSPs who are learning about the trait to have access to accurate information. Thrive is based on two qualitative studies conducted in 2014. The first included interviews with 35 highly sensitive people who volunteered to share their lived experiences. The second was a large survey given to 1,551 HSPs and helps to confirm the results of the first study. Those numbers and results are included throughout the book. Being able to read the results of new research written in an accessible way connects us to the experiences of other HSPs and lets us know we are not alone. Furthermore, it informs us that certain aspects of being an HSP are probably common experiences. Why did you write Thrive: The Highly Sensitive Person and Career? I wrote Thrive because we highly sensitive people (HSPs) seem to experience significant problems with finding a career that actually works for us. I experienced this difficulty firsthand through my adult life as I sought, like everyone does, to build an adult life with an interesting and rewarding career. I had many, many bad jobs where I felt underutilized, bored, robotic, and downright depressed after a period of time. There were a few where I felt certain aspects of the job worked well for me (like autonomy). Later, I was able to hold better positions, including teaching college and executive level work, which exposed me to the professional side of work. These experiences, though more interesting and challenging in some ways, come with unique new issues for HSPs. I decided to pursue a Ph.D. in 2011 and as part of that journey I had to choose a topic that had personal meaning and could make a viable, useful study. Through much research I found that little existed with regards to literature addressing HSPs and career. There was one book, Barrie Jaeger’s Making Work Work for the Highly Sensitive Person, a very good book in my opinion, but it seemed to overly romanticize the notion of what is practical and possible by pushing HSPs to “find their calling.” The reality is many people are stuck in what they’re doing (for various reasons) or fear having to look for new work. In some cases they are so battered and beaten by our exploitive system as to have nearly given up the struggle. I wanted to craft a book, based on the study I conducted for that Ph.D. and augmented by a larger survey I conducted later, that would take a practical look at the workplace in 2015 and see what kinds of opportunities might exist for HSPs that didn’t perhaps exist in 2004 when Jaeger’s book was written. As it turns out there are some new opportunities worthy of consideration for HSPs, which I cover in Thrive. Writing Thrive was a personal journey that began with my decision to study how we HSPs experience careers and transformed into a book that contains an encapsulation of that initial study, backed up by a much larger sample of the HSP population, and bolstered by powerful narratives expressed by HSPs and a frank, pragmatic view of work for HSPs. I wrote Thrive to be a testament for all HSPs who have no voice or who do not feel safe enough to express themselves. We are a beautiful, passionate, creative 20% of the total population and it is time we emerge into our full flowering. The world needs us. Thrive seems to be a book that covers a broad range of topics. Can you explain why? Conducting research that encompasses a full one-fifth of the world’s population of necessity means that we must embrace the inherent complexities associated with over a billion people. None of us are the same, we all come from different cultures, different educational and familial backgrounds, and differing social classes with very different worldviews and expectations of life. For instance, if I ask the question “what is life about?” I’m going to receive very different answers based on all of the above factors. For that reason a book such as Thrive must deal in generalities, while aiming to be specific enough to be useful and interesting. One of the ways I lessened the feel of the complexity was to include actual narrative quotes from many of the HSPs in my study. Throughout the book you will find short quotes from HSPs expressing their experiences and feelings on topics like empathy, childhood’s influence, self-care, and more. The last chapter in the book is entirely stories from HSPs and, while quite varied, is an interesting section because it’s like sitting with a group of very reflective, considerate, and passionate individuals as they tell you something of their lives. I really believe that HSPs need to be around other HSPs to be able to, first, understand that they are not alone (which many of us feel quite acutely), and second, to get some sense of the experiences of other HSPs. Learning what life has been like for others can help us put our own experiences in context, which is always good because it takes us a step further from subjectivity to objectivity. When we so keenly focus on our problems we limit our ability to expand and grow from the experiences, but when we see that others have experienced similar issues (many times much worse) we are able to put our own lived experiences in a context where we can lessen their emotional prominence and move forward. We HSPs are an introspective group and, as such, at times we need to have ways to categorize our experiences so they don’t dominate our lives. Thrive attempts, and I think succeeds at, providing context within which HSPs live and experience work. What advice do you have for HSPs who may feel defeated by their career difficulties? Highly sensitive people experience everything more deeply, including disappointments and negativity. That’s why we are also prone to anxiety, depression, and, potentially, a pessimistic explanatory style. For HSPs who feel beaten by the harshness of the workplace or the people they work for or with I think it is still possible to find ways to experience fulfillment in work. One of the unifying concepts I decided on for Thrive was the concept of flow. Flow was originated by psychologist, Mihaly Csikszentmihalyi, and taps into the same vein as Jung’s individuation concept or Maslow’s self-actualization. Flow is a way anyone can experience real satisfaction from a challenging task at any level of work. A roofer and a professor may both experience flow. This unifying concept is one of the really practical points I make in Thrive and one I have experienced personally and seek out often. Interestingly, I have also been a roofer and a professor and been completely absorbed in challenging tasks in both. For an HSP who feels defeated by career issues I offer flow as a hopeful way to move forward. If you are unemployed it is still possible to experience flow. Though that may sound counterintuitive, as I stated, one may find any task to be completely absorbing, challenging (but not too much so), and that may impart a sense of potential control. An HSP who is really at the bottom needs to work on rebuilding self-confidence and gaining a sense of potential control, even if by pruning a bush, mowing the grass, or some small job that is challenging, requires complete focus, provides immediate feedback, and that takes you out of the moment to moment reality for a period of time. This respite can be immensely satisfying and serve to rebuild one’s confidence. This new confidence may be built further by seeking out flow experiences often, thereby, creating new possibilities. The only point at which a person, HSP or not, is defeated is when that person thinks defeat is real and ceases trying. Failing is a natural part of life and must be taken as educational. Only by failing do we know what doesn’t work and learn how resilient we can be. Highly sensitive people are innately creative and are fully capable of many divergent paths at any given time. An HSP who feels defeated may be feeling that very deeply, but it is also possible to find new energy and new direction. Sensory processing sensitivity developed as a survival trait for the entire species. It is a strength and that is how I present it in Thrive, though I freely and openly acknowledge the challenges. In fact, my motto has become “highly sensitive = strength.” You’ll find it on my web site at drtracycooper.com and on Thrive’s back cover. What is the core message of Thrive: The Highly Sensitive Person and Career? Many of us HSPs suffer a great deal in trying to fit ourselves to one career or another. This can cause a great deal of trauma throughout our lives as our families suffer, or relationships suffer, and our entire self-concept comes into constant question. The world isn’t making it any easier for those of us who are highly sensitive, but there are some new, interesting possibilities forming and some existing possibilities that we should take a look at as well. Life in one sense is very much about surviving. There are things we must earn money for: a place to live, food, transportation, energy, clothing, and all the other things we need to meet our basic bodily needs. The problem is that many HSPs, though not all, may find themselves stuck in a seemingly never-ending cycle of moving from one position to another in search of just one that is actually tolerable. When we are stuck in this cycle we exist in a scarcity mindset and are never able to access the better, higher parts of ourselves that is capable of so much more. To move beyond survival we must master the basics. We must find a way or ways to earn what we need to satisfy those essential requirements of life. Only then can we thrive. By thriving I mean we have an effective self-care practice that incorporates a contemplative practice. This could be walking, prayer, meditation, or anything that quiets the mind. Self-care also means a diet that works for you. I do not subscribe to any one diet as we are all very different. Self-care is holistic and means we pay attention to our physical, social, spiritual, and emotional needs in a way that becomes so fluid its second nature. Thriving means we acknowledge our challenges, while embracing our potentialities. We engage in activities that allow, even encourage our growth and development. Many of us are gifted and capable of much more than we have achieved to date. To thrive implies that we access and develop the higher parts of ourselves, which benefits us, our families, and our communities. There is no secret to thriving. There are no “ten steps to thriving,” or “Eight simple rules.” Rather, it is hard work. Work that must be done to address the damage done to us in many of our childhoods, school experiences, and in our social worlds. When we become more self-aware of our trait and its many implications in our lives we can then work on accepting who we are and adapt our lives to meet our needs. This may be a lengthy process requiring years of careful effort and reflection. Thrive will help you with all of these issues and many more. Dr. Cooper’s web site may be found at drtracycooper.com where, in addition to being the primary point of purchase for Thrive: The Highly Sensitive Person and Career, he offers one-on-one consulting and mentoring services for the HSP and career, the high sensation seeking highly sensitive person, and mentoring/dissertation writing and development services for Ph.D. students. In my new book, Thrive: The Highly Sensitive Person and Career, I introduced the concept of flow as a uniting factor among all HSPs. Seems like a great concept right? Choose a task that is challenging, not too much so, that provides immediate feedback, removes you from an awareness of time, and provides you with a sense of potential control, even if not actual control. Flow is fundamentally operating within our spheres of proficiency, but challenging ourselves through taking on an odd, unusual, or different task. We are suited to the task because it is within our realm of knowledge and experience, but because it is different in some way (presents a unique challenge that calls into play all of our past knowledge and experience with similar tasks) there is a growth opportunity. Judy Glick-Smith, in Integral Leadership Review’s August-November edition, relates her experiences working with firefighters and the flow experience. 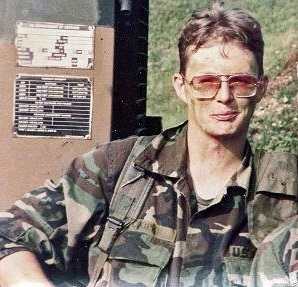 Reading her article triggered a memory for me that takes us back to 1985 when I was in the U.S. Army at a tactical air defense missile site near the border of what was then West Germany and Czechoslovakia. 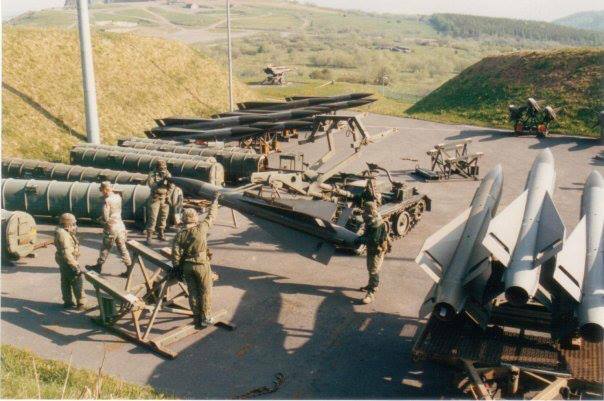 It was a bright, sunny, warm day on the “hill” and I was selected for an elite crew whose task that day was to assemble a HAWK missile in under 60 minutes. The catch? We had to perform this most complex and technically challenging process while wearing full nuclear, biological, and chemical gear (NBC)! The entire scene looked something like the photo below, though this particular photo depicts an already assembled HAWK missile dangling from straps attached to a loader (a tracked vehic le with hydraulic arms used to move missiles). Our crew’s task was to carefully remove the missile from the “can,” of which you can see several lying horizontally in the photo, and move through the process of removing all of the components which make up a HAWK missile (including the wings), and attach a bracket to the missile itself after it is pulled out of its sliding rack, so that it may be picked up by the loader and moved to a separate assembly rack. Doesn’t sounds so very difficult right? Until you factor in the heat, which quickly meant the NBC suits filled with sweat and breathing through the gas mask required a real effort to contain a natural sense of claustrophobia, all while under a strict time constraint. Without this certification as a crew the air defense unit would not have been allowed to go “online” as an active combat unit protecting the skies of southern Germany from the Warsaw Pact at a time when the Cold War was still very real to all of us. The moment was now when we were called upon to rise to this challenge. I am happy to report all went well. The crew was able to assemble a complete HAWK missile in 56 minutes. The moment I recall best is when we left the assembly area and pulled off our gas masks, which released a quantity of sweat as the rubber seals released from our soaked skin. Stripping off the heavy, sweat-soaked NBC suits was undoubtedly one of the most fulfilling things I have ever felt. The fresh air was a delight and our bodies soon cooled down. We had risen to the challenge, entered a flow state where we were all matched to the task, lost all sense of time as we focused on the tasks at hand, and experienced a flow state where, at the end, we all knew none of us would forget. Dr. Glick-Smith articulates that “there are five pillars of flow that must be in place for flow to happen: knowledge of our own triggers of flow, preparation, physical readiness, mental alignment, and spiritual connection.” Many HSPs find themselves with entirely too much going on cognitively, emotionally, and socially (at least in terms of intensity of the interpersonal experience). For HSPs entering the flow state, even being able to trigger it, may be a true lifesaver and offer a growth avenue we should not ignore. Nearly all of the HSPs I have ever spoken with seemed to be individuals of high potential. However, I have also often sensed a milieu of thoughts, emotions, and feelings that confuse, irritate, or otherwise may impair growth opportunities. Flow states for the HSP is likely where we are going to be performing at our best, grow the most, and experience the exhilaration and sense of control so many of us desperately need. One last aspect of the flow state I’d like to mention is that the experience itself, when it’s really good, becomes autotelic, or worth doing for its own sake. When one is engaged in such a state, or finds activities that offer this possibility work ceases to be work and becomes fulfilling and gratifying in ways other forms of compensation can never reach. In Thrive I offer a window into the many varied experiences of HSPs (chapter 9 specifically) as they relate to us their stories of challenge and engagement, hope and pain, compromise and pragmatism. To read more about flow and many other aspects of life related to the HSP and work I invite you to consider picking up a copy of my new book Thrive: The Highly Sensitive Person and Career. Welcome to stop #1 on my blog tour in support of my new book, Thrive: The Highly Sensitive Person and Career. Most of us are familiar with book tours, but welcome to the 21st century where blog tours allow me reach a much wider audience around the world! For my first blog stop I am excited and pleased to partner up with the wonderful web site HSPhealth.com, operated by Maria Hill, offering a variety of resources including coaching, courses, an extensive library (no card needed), and health-related blog posts. I enthusiastically recommend HSPhealth.com as a resource HSPs should visit. Thrive is a book that covers quite a wide territory with self-care being one of the top themes I emphasize for HSPs. Very often when I am consulting with a client I quickly realize that one of the major components I need to include in my consultation is the need to practice self-care almost in a spiritual sense. In this post I talk about a few of the issues in-depth. I welcome feedback and questions. The new book, Thrive by Dr. Tracy Cooper, with a foreword by Dr. Elaine Aron, author of The Highly SensitivePerson and originator of the Sensory Processing Sensitivity personality trait is available now. Dr. Cooper is introducing his book through a blog tour. His first stop is HSP Health. He has written an article below to tell you in his own words his thinking and why he decided to write this book. In chapter four of my new book, Thrive: The Highly Sensitive Person and Career, I cover a number of important aspects of self-care. What I’d like to do in this stop on the blog tour is offer a framework within which we can consider self-care in the working environment. The workplace has certainly changed over the past decade, along with the overall society, with more emphasis in many cases on offering a better balance between work and home time, along with greater autonomy in how and when we carry out our work. This isn’t true in all cases, but in order to attract the top talent, even the top third perhaps, companies and organizations have had to reexamine the needs of younger workers and restructure the way they do business to recruit and retain the best individuals. This shift in the structure of work is a potential boon for us all as we seek working conditions that are more suited to our individual needs. What do I mean when I say self-care? Isn’t self-care just a tired, old phrase that’s largely lost any meaning in the rough and tumble world of work where one’s needs are many times subordinate to the needs of the job? Self-care for highly sensitive people, or HSPs, implies a broader set of considerations of necessity because HSPs are more complex and dynamic individuals with particular needs. Self-care for HSPs must be inclusive, dedicated, and flexible. Inclusive in the sense that we take into account not only our physical needs for a proper diet that imparts nourishment without unduly taxing the body with stimulants or excessively processed foods, but also our emotional, and spiritual needs. An inclusive view of self-care, or an integral view, acknowledges the interrelatedness of all of the body’s systems with the intent of maintaining a state of optimal functioning at any given time. All of the systems in our body are interconnected and interrelated. Only a holistic, inclusive approach will ensure all systems remain “go,” especially as we age. Self-care for HSPs must become a dedicated practice. Just as many of us walk or otherwise engage in forms of physical exercise with dedicated fervor around the first of every year we must see self-care as a practice we carry out on a daily basis to maintain balance and health. Unlike our often honest attempts to begin the year on a bright note, only to fall prey to procrastination and declining interest, our self-care practices must be maintained throughout the year. The best way we can help ensure that our good intentions do not fall by the wayside, like so many New Year’s resolutions, is to understand that our practice must be flexible and allow for times when we cannot do everything we want the way we would like. A certain amount of self-compassion is advisable as we go through our daily routines and try to fit everything in. In times when we are simply too stressed we should forgo one aspect or another so that we may rest. Getting adequate rest is the foundation on which everything else should be built. When we build in a flexible approach and acknowledge that, at times, life may come calling with too many demands, we are being compassionate toward ourselves and in so doing compassionate toward others. In Thrive I recall one HSP who explained that her intention in assiduously attending to her self-care needs was to enable her to function within a comfortable range each day where her energy levels remain more or less stable so that her co-workers would never see the part of her that “hits the limits.” This careful tending of our energies must, of necessity, be inclusive of our lives outside of work where we do have more control in how we are able to spend our time and get the rest we need. Because we spend so much of our days at work in a modern age, particularly in the U.S. where the average work week is around 47 hours, the issue of self-care is relevant to all, HSP or non-HSP. Perhaps, in a very real sense, we HSPs are the harbingers of a new way of being that offers a counterpoint to the all-consuming nature of modern work. Another extremely important aspect of self-care I cover in Thrive, which by the way is based on original new research conducted to rigorous academic standards and approved of by Dr. Elaine Aron, is setting boundaries and protecting ourselves from too much negative stimulation at work. Many HSPs have real issues with simply saying “no,” or otherwise letting someone know they have reached a boundary it would unwise to continue violating. The HSPs in my study communicated to me their difficulties with arrogant, manipulative, and exploitive supervisors, bosses, and co-workers in the workplace and the resultant effects of absorbing the overwhelming negative energy on a daily basis. That’s not to say that every HSP is in such an undesirable environment. Many are doing quite well, but still face issues with the energies they must absorb from customers, clients, and co-workers. Effective coping requires the same inclusive strategy of proper diet, rest, setting boundaries, and relaxing the mind through contemplative practice. Lastly, thriving and self-care in the workplace does not mean that we huddle off in corners too afraid to interact with anyone for fear we might become upset, rather it means we choose to interact with quality individuals for quality amounts of time (which will vary by person) and minimize our exposure to negatively stimulating individuals. We highly sensitive people do not exist in a vacuum, though many of us sometimes feel as if we do, we may benefit greatly from the right types of socialization with quality people capable of meeting us on our level of personal authenticity. Thrive: The Highly Sensitive Person and Career will help you learn more about self-care and much more as you journey down this path of self-awareness, acceptance, and adaptation. The Flow State: Firing on all Cylinders? In my new book, Thrive: The Highly Sensitive Person and Career, I wrote about the state of complete absorption in a task as a state known as flow. The flow experience offered a way to unify all highly sensitive persons regardless of socioeconomic and employment status. I realized that it is when we are engaged in work that is challenging (but not more than we can manage), that is completely absorbing, and that may become worth doing for its own sake offers us the opportunity to, both, remove ourselves from the cares of the world and quiet our brains (mercifully so at times). Now, author Steven Kotler, explains the mechanism at work in our brains when we are in the flow state and it is surprisingly NOT what you think! One might conclude that a flow state is when an individual’s brain is completely involved at 100%. Actually, as Kotler articulates, it is through a shutting down of some brain functions that the flow state is so desirable. The prefrontal cortex of our brains seems to work overtime in HSPs, but when we are in a flow state the brain is focused so intently on the task that other functions, like distinguishing between self and other, quiets down. The “worrying” many HSPs do about just about everything, or as we might say, depth of processing, quiets down and the person is simply at one with the task or activity. Why does this matter? Because we HSPs many times ruminate endlessly about far too much and it is a source of frustration, irritation (to ourselves and others), and may prevent us from actually doing something with our time! Too much thinking and not enough actual work equals nothing. The flow state, though we aren’t realistically going to be engaging in it everyday, all day, is enormously beneficial for HSPs and should be one we seek out in our careers and our broader lives. 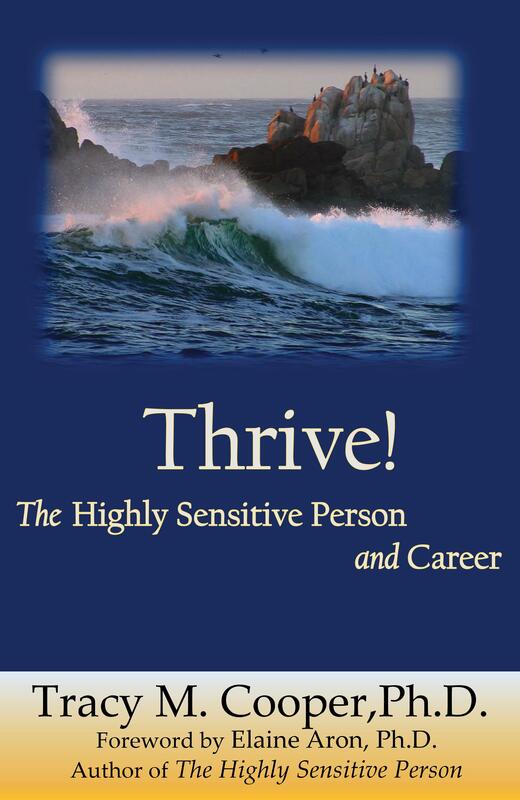 Thrive: The Highly Sensitive Person and Career now in print! + Blog Tour! I am pleased and happy to announce that the book I have been working on for several years is now available to the HSP world in print and Ebook versions! The book is based on original new research conducted to rigorous academic standards and is endorsed by the leading authority on Sensory Processing Sensitivity, Dr. Elaine Aron, who has written a wonderful foreword for the book. In support of this new book I will be traveling to various blogs around the world doing guest posts explaining more about Thrive and expanding on certain aspects of the book. I invite you to join me on this blog tour and learn more about the many issues related to the highly sensitive person and career! In advance of the new documentary movie, Sensitive – The Untold Story’s premier on Sept. 10th at the Legion of Honor Museum in San Francisco they have released this wonderful short video discussing a concept known as differential susceptibility, which will be of special interest to those of us whose childhoods were traumatic, abusive, or neglectful. In my new book, Thrive: The Highly Sensitive Person and Career I devote an entire chapter to the influence our childhoods leave on us. In fact, it is so important that I ranked my first three chapters (empathy, childhood’s influence, and self-care) in order of importance, with childhood’s influence occupying a second spot only to the experience of empathy.